After a very busy summer and early fall Stefanie has been working steadily both designing and on other projects. She's currently busy working on a third MTC production this season; Important Hats of the 20th Century, costume design by Jennifer Moeller. Happy Opening to the cast and crew of The Unexpected Guest, opening this weekend at Florida Repertory Theatre. Happy Opening Night to the cast and crew of She Stoops to Conquer. Watch a live broadcast of the show starting at 7:30 tonight and tomorrow here. Tonight is first dress tech for She Stoops to Conquer at the Hartt School. Stefanie has been working on Manhattan Theatre Club's newest Broadway show Airline Highway. Previews begin April 1st. Stefanie has started fittings for The Hartt School's production of She Stoops to Conquer, opening April 9, 2015. Stefanie has been assisting Arnulfo Malonado on a new play for The Public's Studio series called Fidelis which started tech today. Ticket information can be found here. Check out Broadway World's review for tick, tick...BOOM! Happy opening night to tick, tick...BOOM! Tech starts today for tick, tick...BOOM! Stefanie has returned from sunny Florida and is back to work for MTC and designing her next show tick, tick...BOOM! with the American Theater Group. The Wall Street Journal gave a glowing review of One Slight Hitch on Thursday. Read it here! 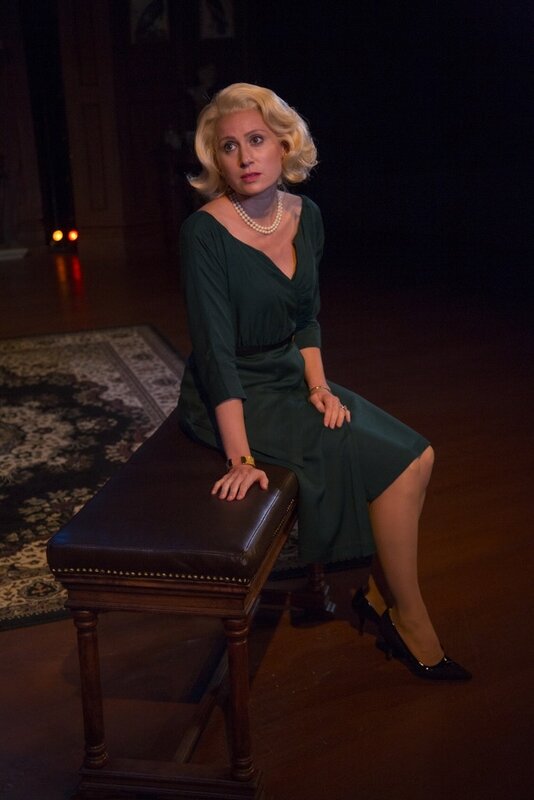 Happy Opening Night to the cast and crew of One Slight Hitch at Florida Repertory Theater! Information about the show and how to purchase tickets can be found here.